Mesothelioma is a rare form of cancer in which malignant (cancerous) cells are found in the mesothelium, a protective sac that covers most of the body’s internal organs. 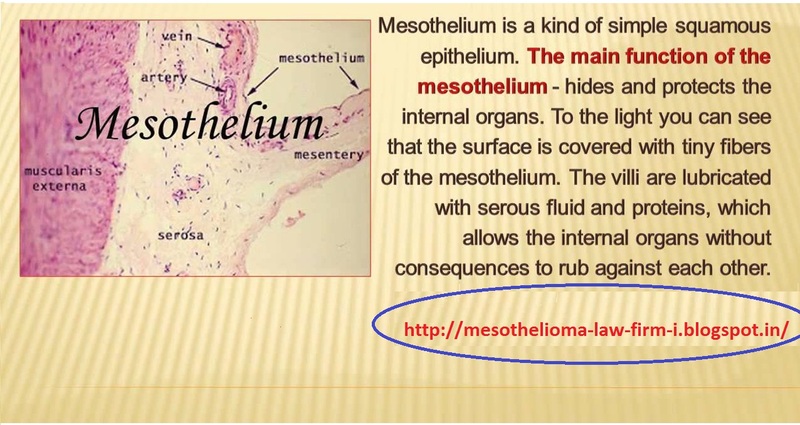 The mesothelium is a membrane that covers and protects most of the internal organs of the body. One layer immediately surrounds the organ; the other forms a sac around it. The mesothelium produces a lubricating fluid that is released between these layers, allowing moving organs (such as the beating heart and the expanding and contracting lungs) to glide easily against adjacent structures. The mesothelium has different names, depending on its location in the body. The peritoneum is the mesothelial tissue that covers most of the organs in the abdominal cavity. The pleura is the membrane that surrounds the lungs and lines the wall of the chest cavity. The pericardium covers and protects the heart.